This offseason the Mets have proved to be making improvements to the baseball side of the team. Bringing in new general manager Brodie Van Wagenen, and the addition of new players it is easy to be excited for the 2019 season. On Thursday they showed off improvements for the Fan Experience at the New for 2019 at Citi Field Event. Highlighting the event were announcements for the Mets Hall of Fame museum celebrating the 1969 World Championship team, New business partnerships, Promotion night and non-baseball event announcements, and a taste testing of the food at the stadium. Mets Hall of Fame Museum and Players Weekend: The first stop of the tour was to the new exhibit in the Mets Hall of Fame at the stadium. Special exhibits were created to celebrate the 50th anniversary of the ’69 World Championship team. Highlighting these exhibits are a Christmas card from Casey Stenger to Joe Pignatano predicting that it would be a great season. As well as the game used glove of Ron Swoboda’s “the catch” in game 4 of the World Series, and more. Part of this was an announcement of a special 1969 Players Weekend to celebrate the anniversary. The events will take place over the June 28-30th weekend and each will have their own promotions. Friday the 28th will kick off the weekend with a giveaway where all fans in attendance will receive a 1969 Replica Jersey. Followed by a 1969 Pennant giveaway for the first 15,000 fans, and a reunion of the Championship team in a special pre-game ceremony (players in attendance include Ron Swoboda, Cleon Jones, Ed Kranepool, and Jerry Koosman, and many more) on the 29th. All in-game programming and prizing will be themed to ’69 music and other classic themes. To close the weekend on the 30th fans can come away with a 1969 Championship Ring replica to the first 15,000 fans. 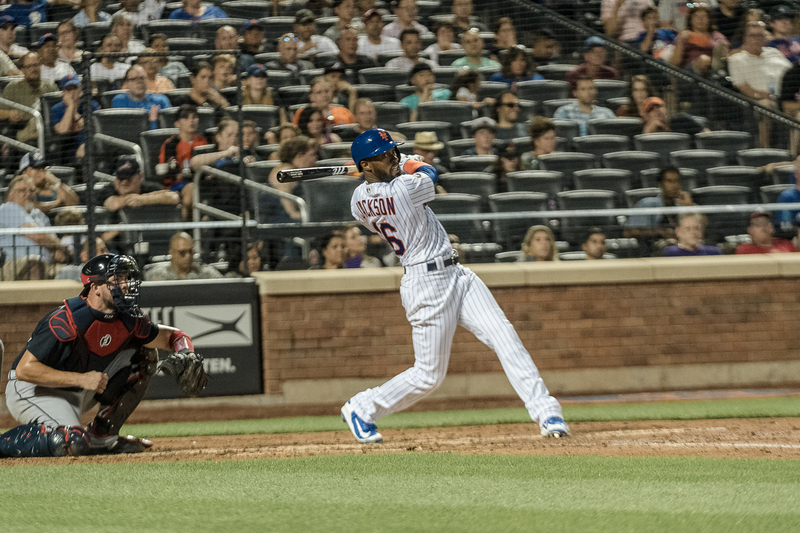 First Data Club and New Partnerships: The 2019 season also comes with some new and exciting business partnerships for the Mets. In the new premium food and beverage space of the First Data Club these new Partnerships were announced. The First Data Club give you access to the best seats in the ballpark and is complete with in-seat services. With that all food and non alcoholic beverages are included in the ticket. In addition to the First Data Club there have been new Premium seats added to Citi Field through a partnership with Verizon Up. The seats are only accessible for Verizon Up customers and include a VIP view with free food and beverage. The Mets will also be featured in coverage of DAZN’s new baseball show ‘Changeup’ hosted by Adnan Virk. A seven day a week MLB series on the DAZN sports network. Fans can take a seat and enjoy the game from the Blue Point Brewing patio. Where they can enjoy food and drink from the Porche Grille above the K Board in the Left Field Corner. The space has an incredible view of the whole stadium and has a unique coastal feel to it. Promotional Schedule and Non Baseball acitivities: Rolling out a promotional schedule the Mets announced the return of Free shirt Fridays. With some really cool and unique designs they should be added to your calendar. Highlighting the promotions were the creative Bobbleheads in partnerships with other pop culture brands. In collaboration with the WWE there is a Todd Frazier bobblehead night for the same weekend as Wrestlemania with Frazier holding a championship belt. Keeping a Game of Thrones night with a Noah Syndergard Bobblehead night. Star Wars fans should make sure to get tickets for the May 25th game celebrating with a Obi-Wan Canobi bobblehead which features Robinson Cano in a Jedi outfit and light saber for a bat. Completing the bobble heads will be teaming up with Marvel and a Spiderman night. Metropolitan Hospitality provided a timeline to non baseball activities happening at Citi Field this year. Highlighting this are a Spartan Race, Color Run, Cirque Du Soleil event, Beer Fest, World’s Fare reimagining the iconic World’s Fare, and the return of Dead and Company shows.